[toc]A double chin is a condition caused when the Musculus Mylohyoideus or the muscle directly under the chin, slackens with age, resulting in a layer directly behind the chin giving the impression of a second chin or a double chin. This is one of the most common physical signs of aging. Besides age, a double chin can also be caused by genetics, an unhealthy diet laden with calories and fat where the fat accumulates as deposits underneath the chin, where the skin hangs loosely. While a double chin is indicative of age, it is a cosmetic irritant and many people work hard to rid their body of this extra fat layer. It is not very easy to get rid of the double chin through exercise since the fat layer is in an odd position and most exercises do not target this area. 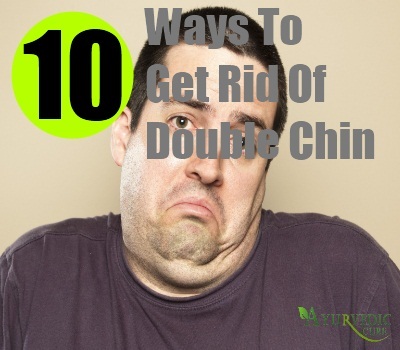 There are, however, a few postures, remedies and ways to get rid of double chin for the perfect face and neck. 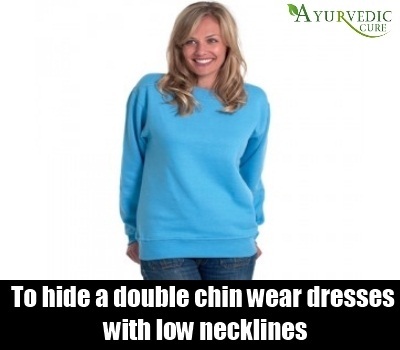 What follows are a few ways to get rid of a double chin and for a toned and slender neck. In addition to age, bad posture also contributes to loose, hanging skin and fat accumulation leading to double chin. It is important to sit upright with your back and neck erect to prevent the skin from loosening and hanging. Whether you’re reading a book, watching TV or typing at your computer, keep your chin up and back erect. Avoid slumping, hunching or sitting in odd positions while working. Invest in an ergonomically designed chair to help you sit comfortably and in the right posture. A good posture makes a double chin less visible. Another technique for getting rid of a double chin is by chewing gum. Chewing gum works your facial muscles and jaws helping to burn body fat and helping you get rid of double chin. This also keeps your facial muscles supple and the skin toned and taut. Chew gum for about a half hour after meals to get rid of a double chin. If you are unsure of how to get rid of a double chin, try performing an exercise about fifteen times during your workout regimen. Stand with your body erect and back straight. Tilt your head back until you are looking towards the sky or ceiling. Pucker your lips and hold the position for about ten seconds and relax your chin muscles. Repeat fifteen times per session, four times a day. Another excellent exercise for getting rid of a double chin is to sit or stand in an erect position with the back straight. Open your mouth as wide as you can and put out your tongue as far as possible. Lightly press your tongue and count to 10 in your mind. Relax and repeat this exercise 10 times, once a day. Within a month you will find a noticeable difference in the chin fat accumulation. You will feel your chin and neck muscles every time you do this exercise. Besides facial exercises, you will have to cut back on high calorie junk and fatty foods. Consuming more calories than is required by your body results in speeding up of the ageing process. Reducing your calorie intake not only burns double chin fat but helps you lose fat in other areas of your face. 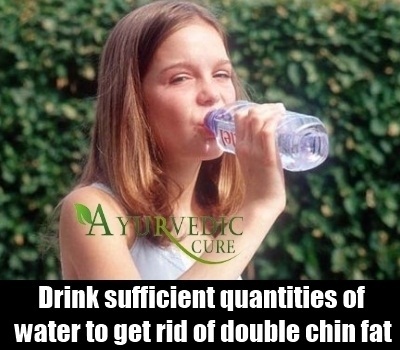 Drink sufficient quantities of water to get rid of double chin fat. Lack of ample quantities of water results in weight gain in the face and leads to skin hanging loosely resulting in a double chin. Drink at least eight to ten glasses of water every day. Not only will this help to keep your body hydrated, but will also flush out toxins and unwanted compounds from the body giving you healthy and taut skin addition to getting rid a of double chin. Consume fluids and foods with high water content like melons, cucumbers, celery and lettuce. Avoid alcohols, sodas and caffeinated beverages as much as possible. As with other parts of the body exercising will also help tone your facial skin to a large extent. Exercising regularly keeps your lymphatic and circulatory systems in good running condition. Walking, running, swimming, cycling, skipping, gym, aerobics and a host of other exercises burn fat deposits in all areas of the body. A great way to get rid of a double chin is to increase your intake of vitamin E which improves the elasticity of the skin and general health. If you have a deficiency of Vitamin E, your skin will not be supple and elastic but will hang loosely in areas with fat deposits. 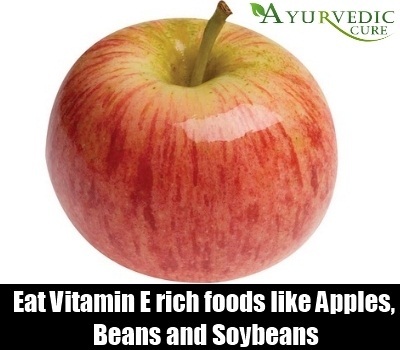 Vitamin E is found naturally in food sources like green leafy vegetables, dairy products, Brown rice, wheat germ oil, legumes, barley, rye, nuts, sweet corn, apples, beans, soybeans, liver and peanuts. Increase your intake of vitamin E by consuming these foods in your diet. You can also increase your intake of vitamin E by with supplements. 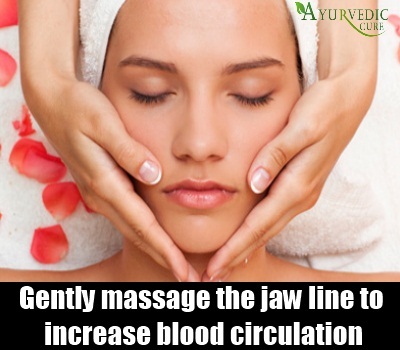 Gently massage the jaw line to increase blood circulation. Place your thumbs under the jaw line with your fingers on the bone and inch the thumb pads towards the ears pressing gently but firmly to rid your lymphatic system of sluggish operation. Green tea is an effective way to cut chin fat for those who do not know how to get rid of double chin. 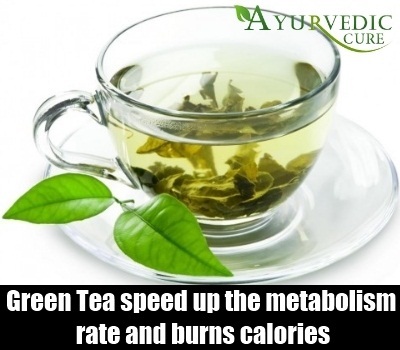 Green tea contains potent antioxidants that speed up the metabolism rate and burns calories. It has other health benefits as well and is much better for health than coffee. Drink a cup of green tea every day to get rid of the double chin. To hide a double chin, wear dresses with low necklines. Avoid high necks and turtlenecks. Broad necklines camouflage the double chin, preventing any attention from lingering in this unflattering area. While accessorizing, avoid choker- style necklaces and opt for long necklaces that sit at the base of the throat. While applying makeup, let the foundation be a shade darker under the chin than the rest of your face to draw attention away from the double chin.